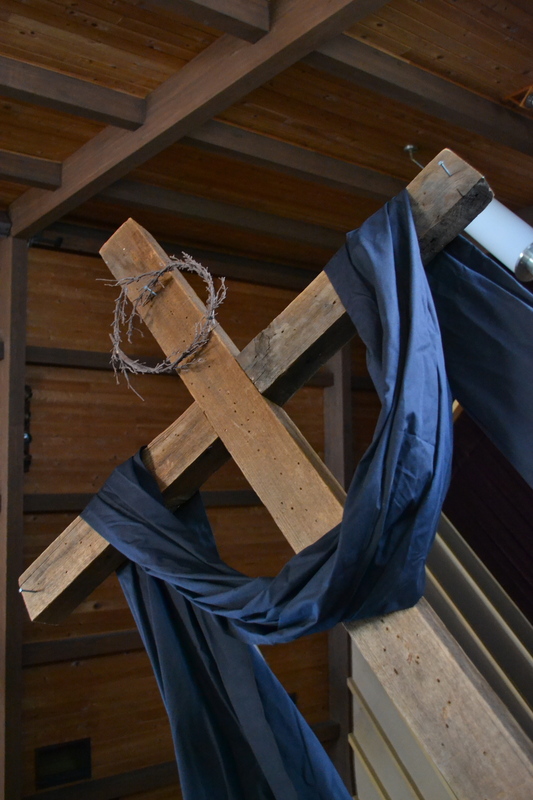 Good Friday: It is finished. It is finished. The day is finished, and there are many ways to recognize that the day is over–we’re in our pj’s, Kajsa is asleep, my teeth are brushed, the lights in the rest of the house are turned out, I’ve closed my laptop… and, Abby’s collar. For many years now, Jim has removed Abby’s collar every night, to give her neck a break. Don’t worry–we don’t keep the collar on super tight, but it has to be frustrating to wear a collar all the time. So every night, Abby’s collar is removed, and placed by the door, ready for tomorrow. The day is finished. Jesus said those words, “It is finished”, in John 19:30, part of the two chapters (John 18 & 19.) read at the Good Friday service. Then he died. “It is finished” referred to more than the day. In fact, the day wasn’t finished. But for those who loved Jesus, the hope was finished, the ministry was finished, their friend and Lord was finished… and, they probably feared, they were finished.